Placed in the impressive Burj Khalifa, in the city centre of Dubai, Armani hotel is one of the multiple businesses which can be found inside the tallest building in the world. It was the first hotel of the chain, which was opened in 2010. Inside the structure, the standard rooms are distributed along the first floors. 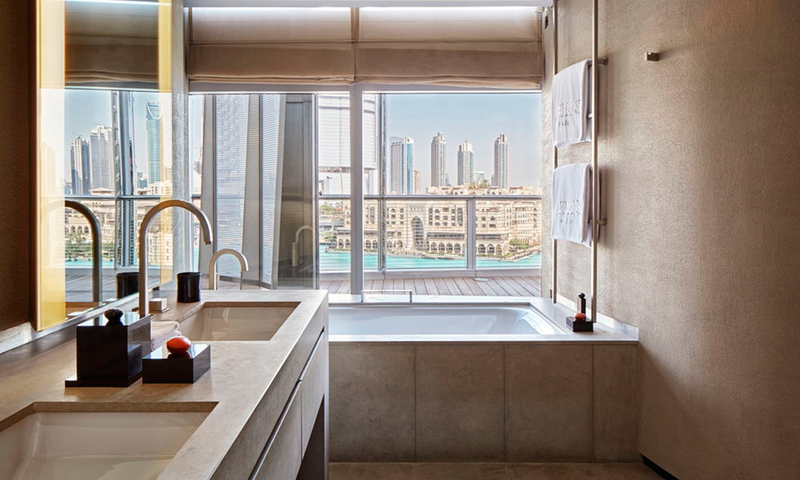 The best views, on the other hand, are reserved just for suites, which are placed in the 38th and 39th floors. If you are looking for enjoying the amazing views of Dubai, you can’t miss the opportunity of visiting the viewpoint located in the 124th floor, which is commonly called “The viewpoint at the top”. It offers a stunning 360º view of the city, an unforgettable experience. 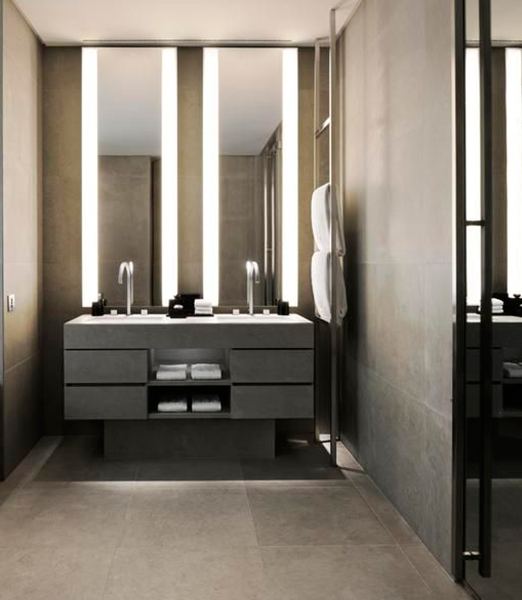 Inside the luxurious Armani inn, Bateig natural stone can also be found, since its design and inherent features made it one of the main materials used in the construction and decoration of this prestigious hotel. The project was developed in 2008. About 25.000 sqm of natural stone, Bateig Azul type, were sent to Dubai, one of the seven emirates which are part of the United Arab Emirates federation. Azul Bateig stone was used to line and embellish the floors and walls of the hotel rooms and bathrooms. The adaptability, homogeneity and versatility of Bateig natural stone were perfect, since it could be combined with other fine materials such as wood, porcelain, glass and steel. The end result was at the height of the main Armani values: tradition, quality, elegance and sobriety. Bateig natural stone is a fine and decorative material, completely able to offer minimalism and exclusiveness. Besides, its high degree of homogeneity makes the stone remain unchanged over time. The use of Bateig natural stone in Armani Hotel Dubai is one of our most relevant projects, since its impressive design is completely able to create exclusive and cosy atmospheres.